Watching a blockbuster at one of the massive complexes found on the top levels of most shopping malls is, thankfully, not the only way to go the movies in Istanbul. As someone who likes her share of foreign and art cinema, I’m very glad that avenues to enjoy non-mainstream cinema do exist in the city. And, interestingly, the main alternative cinema programmes are run at museums. The Pera Museum has wonderful cinema events, lasting anything from five days to a month, each covering a particular theme, director, actor or style. So far this year the programme has focused on documentaries from the experimental French director François Caillat, journeyed into Arabic cinema (in parallel with their February exhibition Between Desert and Sea: A Selection from the Jordan National Gallery), enticed us with the Delicious: Food in Film programme, explored the filmography of the French actress Isabelle Huppert (known for playing unusual and complex characters), run a film-music retrospective, and presented films from the great Michelangelo Antonioni (who can be credited with redefining the concept of narrative cinema) including the atmospheric L’Avventura (The Adventure), a still from which is shown above, and the mod London romp Blow Up (1966), which was the first European art film to enjoy mass popularity and commercial success. A programme entitled Vivre sa jeunesse (Living youth), exploring the theme of coming of age, started in May and continues until June 23. Presented in collaboration with L’Institut Français, the selection includes contemporary narrative and documentary genres. Five French films and one Italian will be screened, all in their original language with Turkish subtitles. Admission to each session costs 10 TL or 5 TL for children below 12 years of age, students, over-60s and faculty members. Highlights include Belle Épine (Beautiful Thorn), an intimate, psychologically inclined observation of a 17-year-old girl (played by the excellent Léa Seydoux) making a transition into premature adulthood. There is a screening on June 23 at 15.00. L'estate di Giacomo (Summer of Giacomo) follows 19-year-old Giacomo, who is deaf, and his childhood friend Stefania. Their lazy, slow summer in the Italian countryside – captured by some gorgeous cinematography – lends itself to feelings other than friendship stirring in both of them. There is a screening today (June 19) at 19.00 and on June 22 at 17.00. Nous, Princesses de Clèves (We, the Princesses of Clèves) is a documentary about students at a French high school preparing for their Baccalauréat by reading the classic 17th-century French novel, La Princesse de Clèves. Reality and literature collide in this exploration of the lives of the students, many of them from immigrant and working-class families, juxtaposed with the passions and plots of the 17th-century French court. There are two screenings: one on June 20 at 18.00 and one on June 22 at 15.00. For a full programme and screening times, please visit Pera’s website. Istanbul Modern, too, has a rich and exciting cinema programme. The March retrospective on a favourite of mine, Michael Haneke, an Austrian director known for his often harrowing subject matter and bleak style, was comprehensive, to say the least, and screened most of his oeuvre – including the brilliant The Piano Teacher starring the aforementioned Isabelle Huppert in her most controversial role, and one of the most original explorations of the atrocities of World War I in White Ribbon – with both Turkish and English subtitles. The Museum also hosts a plethora of independent, art-house film festivals (this year, festivals on animation, women’s films, documentaries and shorts have already taken place). The cinema programme is often timely (for example, the Oscars' foreign film contenders were screened in the lead-up to the Academy Awards this year) and focuses on Turkish cinema substantially as well (a retrospective on Derviş Zaim’s film trilogy that revolves around various forms of traditional Turkish art, such as calligraphy and shadow puppet play, screened late last year). Jumping genres, nationalities and styles, and with at least one screening (through more frequently two to three) on most days the Museum is open, there should be enough to please even the most die-hard enthusiast. And, at an admission price of 8 TL, less than half that of a mainstream cinema – or even free if you have already purchased a ticket to the Museum for that day – it proves a very attractive option. From June 13 to 23 the programme focuses on brand-new German films that have won awards at various international festivals this year. Titled New Paths, this is the fifth time Istanbul Modern has screened a programme focusing on prominent German cinema. This year's highlights include Free Fall, which follows a ‘heterosexual’ man who has it all and whose life comes crashing down when he falls in love with another man. Dubbed Germany’s answer to Brokeback Mountain, it screens on June 21 and 22 at 15.00. Move (which has been translated into Turkish interestingly as 3 Oda, 1 Salon) centres on the theme of constant movement in our lives. The film follows eight friends in Berlin over the course of a year. Throughout the film, this group of young people is constantly moving in some way – relationships end, new love blossoms, jobs change, families break apart – something always ends and moves onto another thing. There are screenings on June 21 and 23 at 17.00. 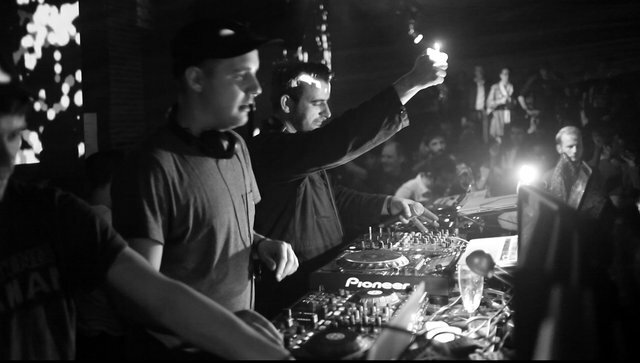 We Are Modeselektor is a documentary about a well-known electronic music group Modelesektor from Berlin and traces the rise of this particular music in East Germany and how it has a become a culture in itself. There will be a screening on June 22 at 13.00. 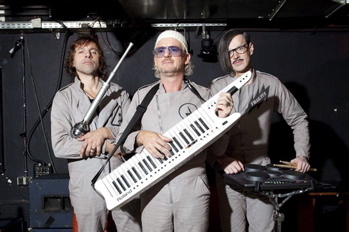 Another music offering, this time a mockumentary Fraktus, which includes Fatih Akın among its producers, follows the mock reunion of an 1980s electro-pop band that resembles one of Germany’s (and the world’s) most well-known dance acts, Kraftwetk. The film is being described as a ‘rare gem of German comedy’ and has a screening on June 21 at 13.00. 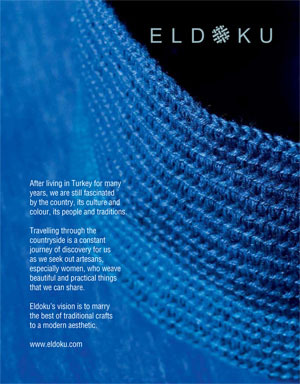 For a full programme, please visit the Istanbul Modern’s website. L’Institut Français, the centre of French culture and language in Istanbul, also hosts independent film festivals and screens its fair share of world cinema (mostly French, understandably). Every season they release a booklet documenting events (including films), which provides a good overview. 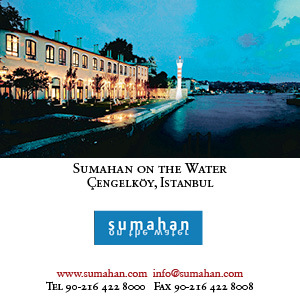 I pick up my copy whenever I pass the building just at the start of Istiklal Caddesi. Their website also has information and you can subscribe to their monthly newsletter by clicking here.